Since the inception of the new Bolster in 2.0, PVP has been rather funky. I'm sure we all remember the Naked Bolster. If you don’t, this was where PVPing naked would buff up your stats to a ludicrous amount in comparison to anyone who was wearing level appropriate gear. What the new Bolster was supposed to do was, instead of bringing character stats up to the “Entry-Level” PVP base (like it used to do), it now looks at each one of the Item Ratings of the equipped gear and base the amount of stats given based on those values. In other words, the worse your items are the more stats you are given to get you to the base value that PVPers should be at. Hence, the Naked Bolster bug; no gear is the worst gear so, it yielded the ultimate buff. Since then, things haven't gotten any prettier. While this bug was fixed, another one had arisen where crafted Prototype (blue) and Artifact (purple) quality items were being bolstered more than intended. This is what was really breaking PVP in the sense that at level 55, the highest ranked PVP gear (Conqueror) was trumped by the Bolstered crafted gear. Or so they believed. 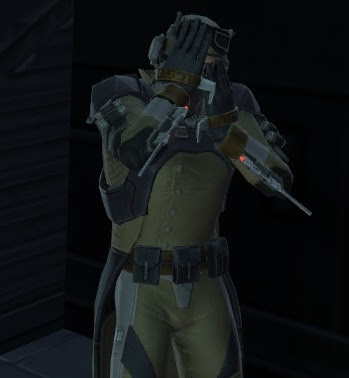 On the SWTOR website, a thread concerning the “fix” popped up that claimed the bug still being in game. If you are interested in looking at the thread, it can be found here. I have passed this on to the combat guys for investigation as it appears the bolster bug wasn't fully addressed. I apologize as I actually did this last week and thought I posted about it, but apparently I didn't! Either way, it is in the combat teams hands for investigation as we speak and as soon as I have exact details I will pass them back on to you! Here we notice that they are at least aware of the situation and a fix is imminent. But, what will the fix be? What SHOULD the fix be? Many discussions have come up regarding this question and answers include, continue tinkering Bolster, bring back Recruit PVP gear, and even getting rid of Bolster all together. In the SWTOR forums, I came across one post that intrigued me. Posted by Hizoka of the SWTOR Forums. Thread can be found here. maybe they are getting smart and realizing that PvP gear was a stupid idea to begin with. ...PvP gear has never been good for MMOs and everyone MMO pre wow understood that and most post wow have understood it with few exceptions. They need to use the bolster mechanic to make the playing field equal so that it is player vs player inside of warzones, and the revards only need to be titles mounts and cosmetic shells. True PvPers will be happy with the, they typical terrible player that requires PvP gear to beat someone 5 levels lower then them will never be happy with anything anyways so just ignore them. Hizoka brings several good points that I believe could indeed work. Games are always affected by player skill, and PVP should be no exception. No gear, no problem. At least, no expertise. Might SWTOR go by this route and just eliminated all PVP gear? Patch 2.4, set to be released in October, has been announced to be a major PVP patch. No specifics have been mentioned other than that. So, any and all questions will, theoretically, be answered come Patch 2.4. So, what does this mean to us? As it stands, Bolster is still bugged and high tier PVP gear is still being trumped by high tier PVE gear. To me, this means don't go out of your way to grab that Ranked Warzone PVP gear when you can just do some Story Mode Operations and obtain gear that's effective in both PVP and PVE situations. Hopefully, this will be fixed soon if not on Patch 2.4. Unfortunately, we have to wait until October to find out.